It's almost fall and nothing says fall like pumpkins. Do you have yarn, paint, wood, dollar store items, and even cement? 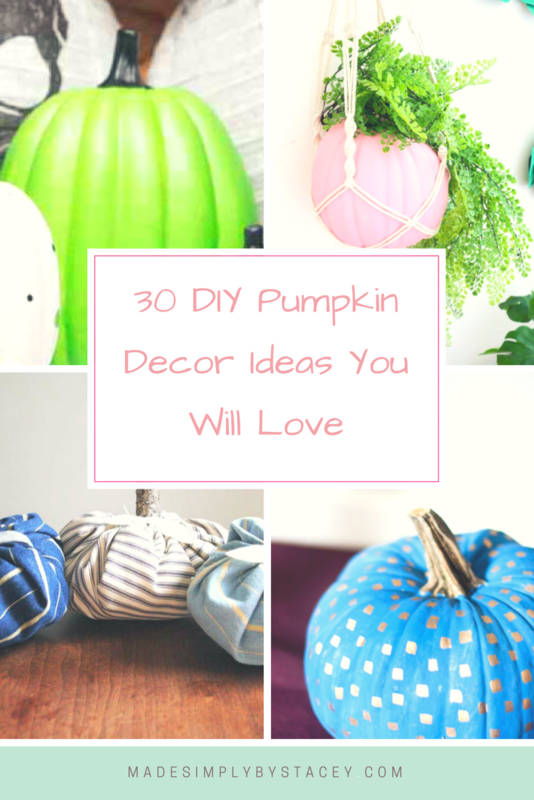 I have gathered some sites with easy do it yourself tutorials on how to make amazing pumpkins. Re-claim them using these adorable no-sew pumpkin tutorials. Not all pumpkins are orange, at least when home decor is involved. Would you like to be notified when I post? Subscribe to my blog and you will get an email. My blog contains affiliate links. I may receive a small commission from any purchase through these links at no extra cost to you. This commission helps me cover costs associated with my blog. To learn more see Affiliate Links. Thank you for your support. Lots of fun pumpkin projects! I really do need to get busy on my fall projects, and I see several I would like to try. Thanks so much for including my pumpkin cans, and jar in your round-up. Thanks for letting me share your links. I plan on using these tutorials as well. Lots of cute pumpkins.